During the opening ceremony, Junior Jonas was awarded for being the top crop farmer for 2014 and Donald Daniel was awarded for having the most throughput at the Marketing Unit. 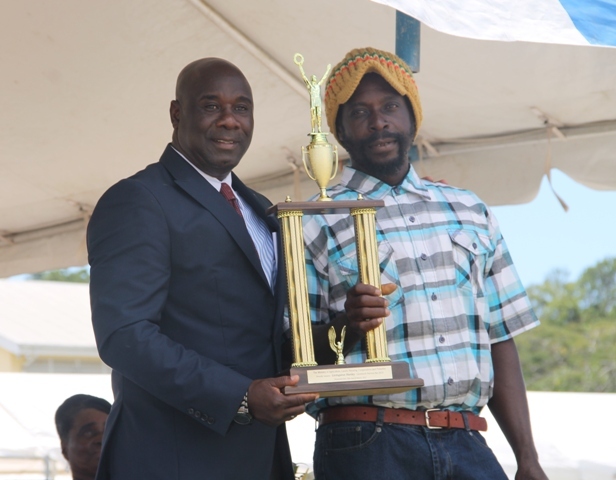 In the area of Livestock Production, Livingston Hanley was awarded for being the top livestock farmer for 20 4 while Oretius Jones was awarded for the most throughput at the Government owned Abattoir for 2014. 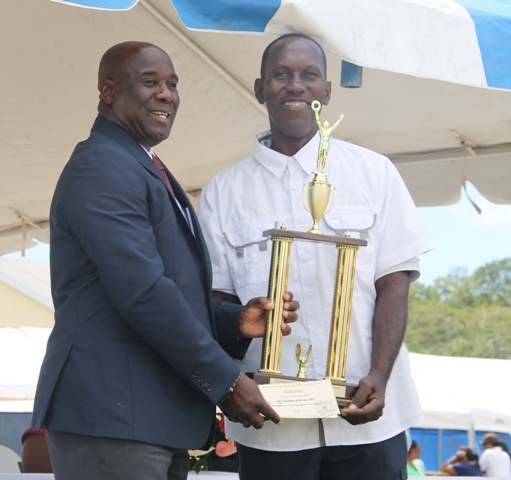 For Fisheries, Ehud Mills was honoured as the top Fisher for 2014 while Wilberth Perkins was awarded for having the most throughput at the Fisheries Complex. 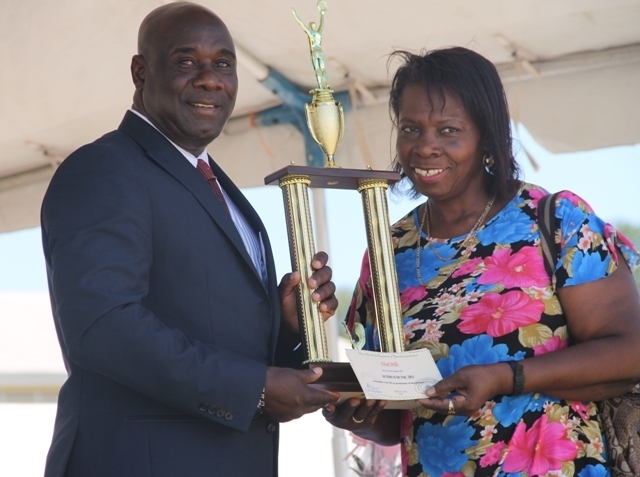 The Department also honoured 14 members of its staff who performed creditably in 2014. Shazere Hanley of the Clerical Division, Davin Smithen of the Marketing Division, Ideta Freeman of the Agro-Processing Unit, Donald Morgan of the Abattoir, Cardin Wattley of the Veterinary Division, Elvin Sutton and Travis Swanston of the Small Farms Equipment Pool and Rhonda Vyphuis of the Propagation Unit. Outstanding Extension Officers from the various Extension Districts were also honoured. Jane Greenaway from Prospect, Andrew Leitch from Indian Castle, Deollal Girdharry from New River and Josefina Jimenez from Potworks. James David and Hemchand Moolprasad from the Maddens and Indian Castle Livestock Divisions respectively were also honoured.